Here's your chance to star in Disney's next live-action film! An open call is being held for the upcoming Aladdin remake, according to The Hollywood Reporter. British director Guy Ritchie, who has officially signed on for the project, is looking for Middle Eastern actors ages 18-25 to take on the lead roles of Aladdin and Jasmine. Along the lines of the upcoming Beauty and the Beast remake, the notice states that those auditioning for Aladdin "must be able to sing" and that dancing experience is "a plus." Shooting is set to take place in the UK over six months, beginning July 2017 and going till January 2018, with rehearsals starting in April. The notice from Cindy Tolan Casting provides the deets. 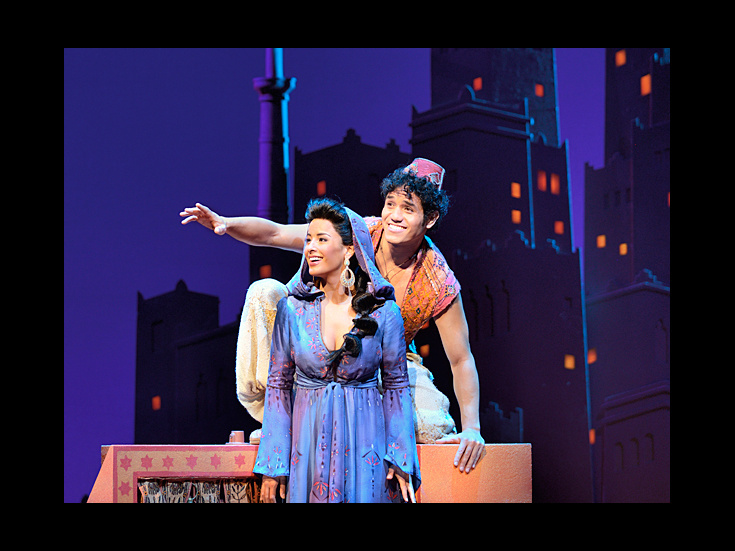 Broadway's original Aladdin stars Courtney Reed and Adam Jacobs.